Last week I attended my very first event with Bloggers Love in Leicester Square here in London and with me was the very lovely Claire from Pinkchickclaire. At the event we were lucky enough to meet a lot of really lovely people from some fantastic brands, some better known than others and many who have been going for just a few months. 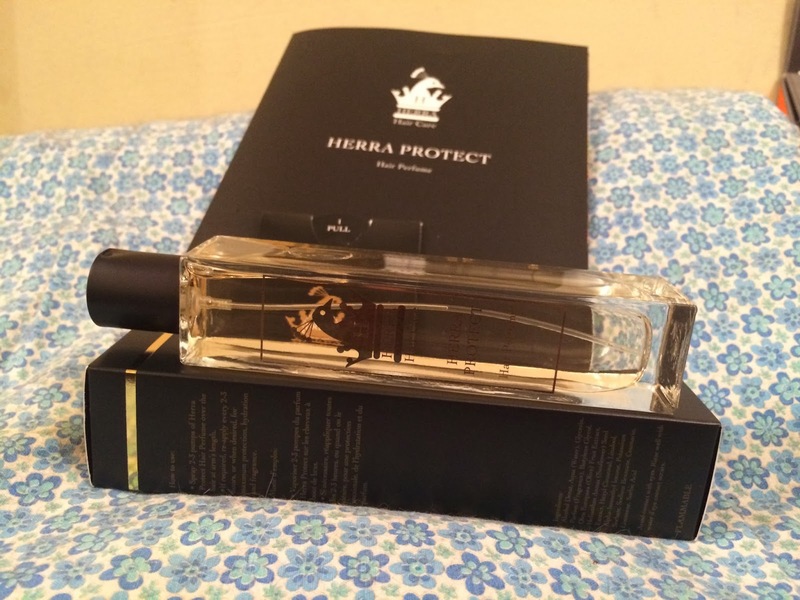 The brand I am mentioning today is Herra whose story you can read about in the main website. 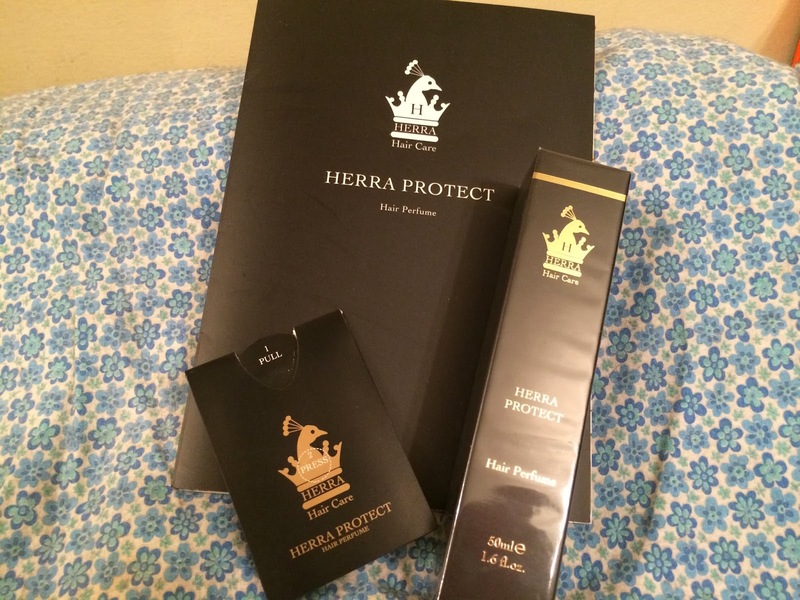 Herra produce a product called Herra Protect Hair Perfume which is exactly what it states it is, a perfume for your hair, yes really. Now I am sure we are all massive fans of perfume, have a huge collection and more often than not when spritzing ourselves will spray some in the air and walk through it, thus perfume hits the hair, well I was told not to do that by my hairdresser because it dries your hair out. Before I got my hands on it, Herra has featured in many publications and magazines including Vogue and it is beginning to get quite a following in the world of celebrities. One thing I love about products is their packaging, if it catches my attention, I am more likely to want to know more about it and find out what it is and Herra does just that. 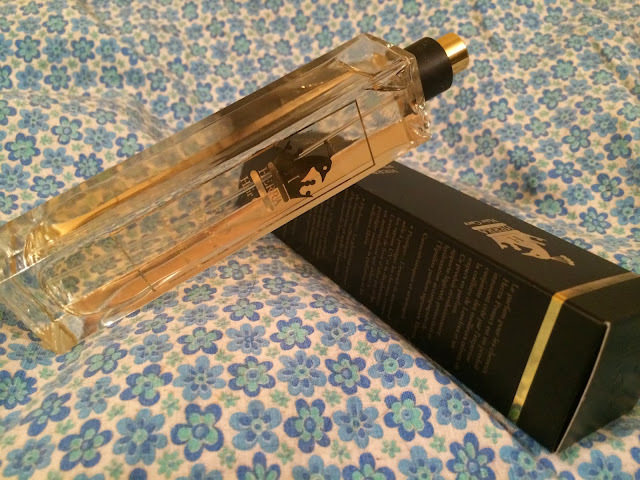 packaged inside this sleek black box with gold writing, the bottle itself is just as sleek and stylish and the right size for putting in my handbag. I do as much as I can to look after my hair, I get it cut regularly, I shampoo, I condition and I use treatments when my hair is in need of it. One thing about living in London is that washing and conditioning my hair is fine, but wandering around all day amongst smog, pollution and other irritants (such as people smoking) can make my hair smell and make me paranoid and if I am going to an important meeting, I don't want to smell like I have been sat in a smoking shed all day, I want to smell good. So I have been putting Herra to the test and admittedly I did thing it was a bit of a fad and not something I would really use, as good as it sounds, but I will admit I was wrong and have used it a lot more than I thought and everyone in my office have also been spritzed and sprayed and are equally impressed, the boys not so much, but you cant have everything. PROTECT - Sunflower extract protects the structure of the hair. It helps provide protection against UV and can prevent colour fade, whilst olive fruit extract is rich in antioxidants that help shield the hair against pollution and free radicals. MOISTURISE - Glycerin helps provide ample hydration and seals in moisture, without weighing down the hair. FRAGRANCE - The Herra signature fragrance is a blend of the finest key notes creating a fresh modern, uplifting experience that appeals to all. Ingredients include: Italian bergamot, loquat fruit, midnight orchid, rose, white jasmine, mimosa, heliotrope, lily, vanilla, tonka bean, sandalwood and musk. For me the scent is something i have to like to use a product and I love the scent of this, I find it quite uplifting and a mixture of being fruity and floral, neither one being more dominant than the other, it simply works and I cannot recommend it highly enough. This is a UK only giveaway, please ensure you are at 16 years of age or have parental permission because I will need your address to send the prize too. All entries will be checked before the winner is announced. I'd love to win this as I've never tried a hair perfume before and this one sounds fab! I would love to win because it's such an innovative product- I've never seen or hear of anything like it and I love the sounds of the benefits to it too! I would like to win because even know there was such things as hair perfume. So maybe this is the chance to be introduced to something new! This just sounds perfect, havent really seen any products like this, would love to try it! A great idea and would love to give it a go. So want to try this..didn't know you could get perfume for your hair WOW! Like you I really hate when people walk past me smoking and I get paranoid that it'll make me smell! I'd love to try as didn't know hair perfume existed! I would love to win to try it - it sounds fab! Like you I would love to try a product that could refresh and fragrance my hair through all the travelling I do for work! I use a shampoo for my Psoriasis, so I think my hair doesn't always smell so nice. This would help. I would love to win because I would love to try something new for my hair. I've never tried hair perfume before and would love to try something new. I'd love to win this because I've been looking for a hair perfume for a while. I usually "wear" my perfume on my hair so I would like to have a perfume which is made for that! Sounds lovely! I usually spray perfume on my hairbrush but I worry it might make my hair get greasy quicker! I would love to win because this sounds like it would smell divine and it's the sort of luxury that would normally be out of reach to me because of our tight budget. This sounds like an innovative and interesting product and I'd love to win so that I can try it out! I am really short and people have an annoying habit of touching/ smelling my hair so i am obsessed that it smells nice. I'd love to win because I didn't realise such a product existed! I get so paranoids about my hair smellin like cookin food, especially when my fiancée cooks bacon. As a vegetarian I don't really want to be smelling of bacon all day! I'd love to win this as I have never tried a hair perfume before. This sounds divine,what a treat! This sounds amazing! I'd love to win because I don't really have many hair products - I just use shampoo and conditioner! This sounds like such an interesting product! I don't think I've ever thought of putting perfume in my hair before let alone getting a perfume specifically for my hair. 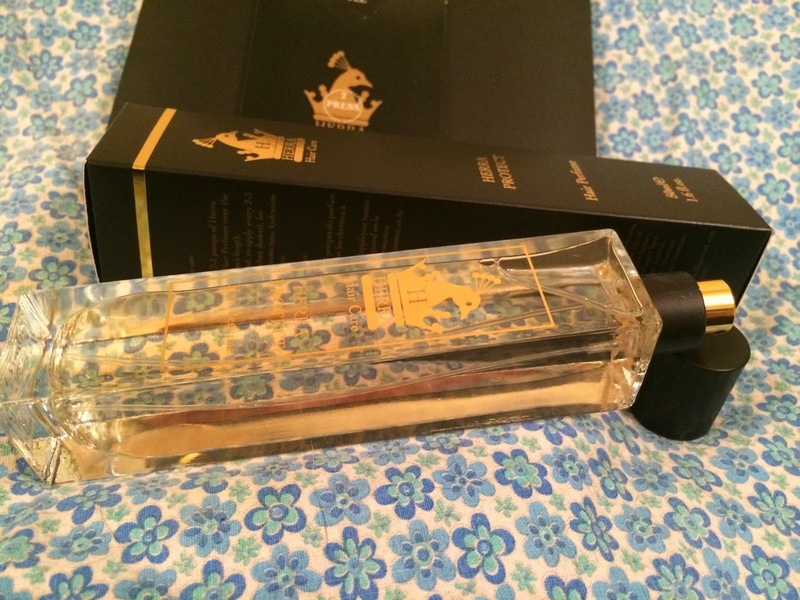 Would you use it in replacement of a standard perfume? i'd love to try this, looks amazing! I have never heard of hair perfume before, sounds brill! This is such a great idea and I love the packaging it just looks gorgeous! I used to work with a lady who ran Chanel No 5 through her hair and I used to think how nuts she was, but yet I totally understood the point. I bet she wishes she knew about this product! Because I think it sounds great. Would love to try it. I would love to win as I have never tried anything like this before. My kitchen at home ha really bad ventilation so whenever anyone cooks anything the smell just sticks to my hair, so this perfume would be a god send! I would love to win as I hate the way that food and smoke smells cling to my hair! would love to win this to try after being around friends and family that smoke, it makes my hair stink! oooh this sounds like something new I could try...I love new things! I would love to win this, due to illness i Can not use perfume on my skin so this would be perfect for me. Thanks for the chance to win it. I would love to win as I've never tried hair perfume before! It sounds amazing!! Ive not tried this before. I didnt even know it existed! I'd love to win as I like the idea of perfume for the hair and would love to try it.